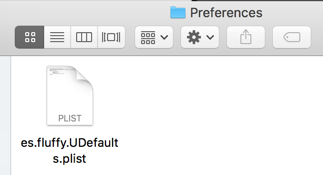 What type of data can we store in UserDefaults? Wait... what is a property list? 🤔 What does "A default object must be a property list" means? 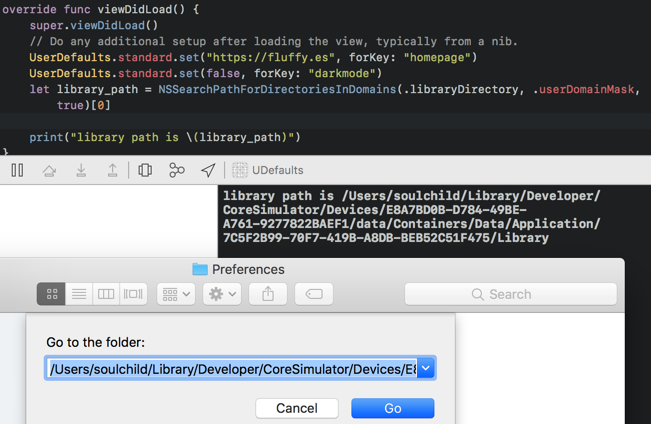 Build and run the app in Simulator, then open Finder and press command + shift + G , paste in the library path and click 'Go' to navigate to the Library folder. 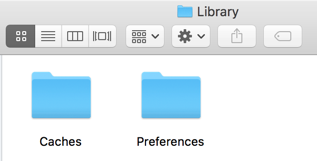 You will see two folder, 'Caches' and 'Preferences' , the UserDefaults plist file is stored inside the 'Preferences' folder. As UserDefaults uses .plist format to save data, we can only store data with type of NSString, NSNumber, NSData, NSArray, NSDictionary or NSData. If we want to store custom object into UserDefaults, we can use Codable and PropertyListEncoder to turn the custom object into NSData. For example, you can allow users to specify their preferred units of measurement or media playback speed. Apps store these preferences by assigning values to a set of parameters in a user’s defaults database. You can also store non-sensitive data such as high score for a game, recently played song etc. 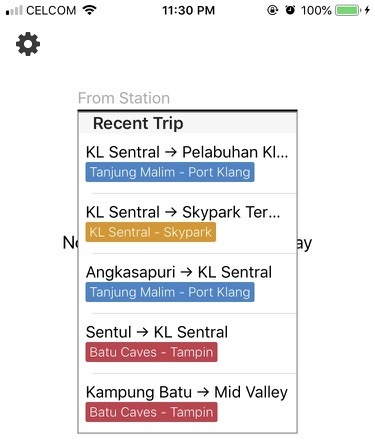 In my public transport app Komuter, the last 5 trips are stored in UserDefaults (Array of custom objects encoded into NSData). 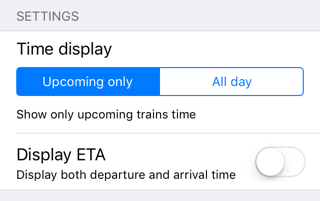 User can then tap the recent trips when they select station. Avoid storing large amount of data in a single UserDefaults key such as 50 rows of user's favorite songs. And also avoid storing image data (conversion of UIImage to NSData) into UserDefaults, as UserDefaults are not meant to store large amount of data. A better way to do this is to save the image file (eg: avatar.png) into the Library folder of app, then store the path to the image (eg: "AppFolder/Library/avatar.png") into UserDefaults, and show the image using UIImage(contentsOfFile: savedPath). UserDefaults caches the information to avoid having to open the user’s defaults database each time you need a default value. Other than in-app purchase status, you shouldn't store user password / API Keys in UserDefaults for the same reason as well. Most of the Keychain services API provided by Apple are written in C language and require some configuration to use 😅. 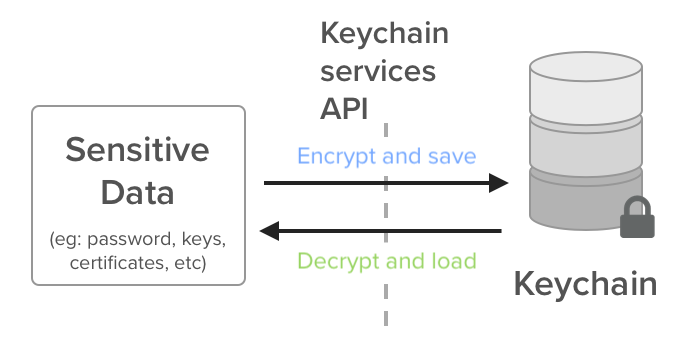 To simplify the usage of keychain, we can use some open source Keychain wrapper library like Keychain Access . You should always use Keychain to store sensitive data like password, keys, certificates etc. Data saved in Keychain can be accessed by multiple apps, provided that the data are created from the apps from the same developer. This is how SSO (Secure sign on, like you login in one app and then another app will auto login for you) in iOS app works. An example of object-relational mapping : Order class can have many items (Item class), meaning an Order can have multiple items. The "Order have many Item" is the relationship between Order class and Item class. Aside from saving / loading object with relationships, Core Data also offer querying function which we can use to filter the data we want to load. I have built a reference site on using NSPredicate query here if you are interested. I recommend reading Apple's own Getting started with Core Data guide on beginning Core Data. Core Data is great for when you have a long list of data (eg: to-do list, list of bookmarks etc) to save / load. Especially if your data have some relationships (eg: Order with multiple items) , require custom query / filtering (eg: Getting items below certain price) or require sorting function (sort the retrieved data by price), Core Data can handles these for you out of the box. Here's a simplified guide on choosing which approach for storing data. Sensitive data like passwords, in-app purchase status (paid, unpaid), coins amount, etc? Store it in Keychain. Preference data that can be presented in Switch / Action Sheets / Segmented Control ? Store it in UserDefaults. Small amount of text / number / array data that is not sensitive (eg: high score, level, display name) ? Store it in UserDefaults. Large amount of data, or potential to be large amount, or usually in a list that is expandable (eg: to-do list, posts, comments) ? Store it in Core Data. Data that might be queried / filtered often? Definitely Core Data.